MY MOTIVATION TO JOIN THE AUSC By OKIRING JOHN PAUL. 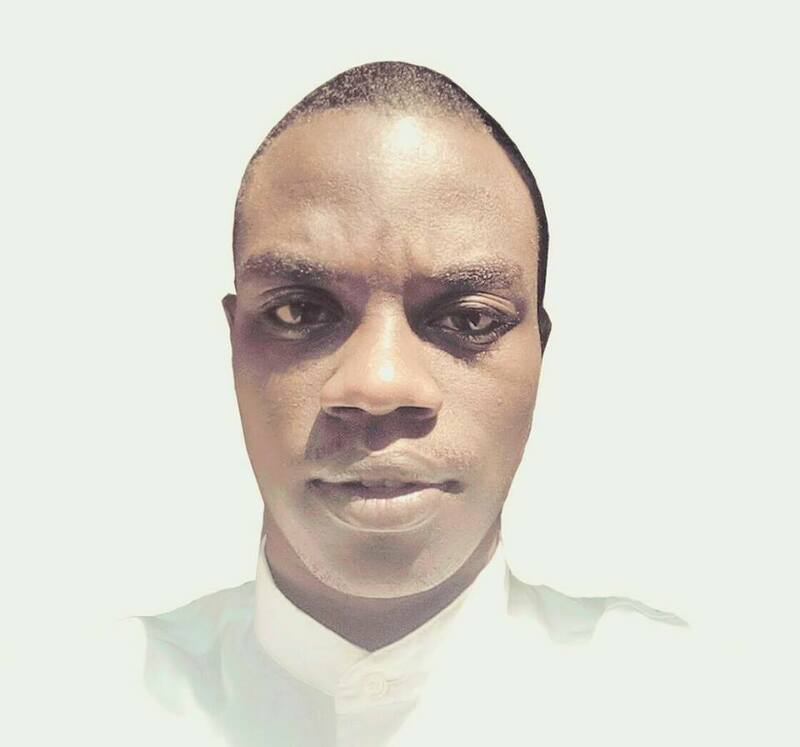 Dear president best regards, I am OKIRING JOHN PAUL, a finalist offering a bachelor’s of science in fisheries and aquaculture, in July 2016 is when I first heard about the AUSC- FOR THE BETTER AFRICA WE DESERVE, I WAS INSPIRED AND MOTIVATED TO JOIN SUCH A NOBLE ORDANISATION which would help unite Africa in the years to come, with the awareness that AFRICA’S population is comprised of the youth at a higher percentage, scholars who have ideas for a united Africa. I realized that if we the students could unite then the future of Africa would be brighter, I dream of a united continent where countries in future with come together in unison to uplift the image of the land of an African man, through your vision MY president, of AUSC, I to have an AFRICA full of peace, an independent Africa, an Africa that can be self-sustaining in terms of development, peace, and social relations among the sister countries within our vast continent. 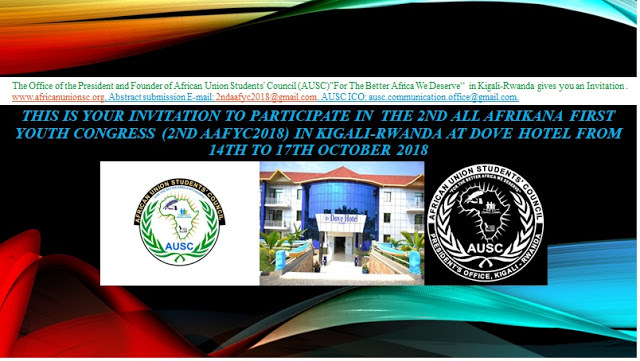 HIS EXCELLENCY, regarding my input to the vision and mission of the AUSC, I intend to see the AUSC established in my country for the better Africa we deserve. First i want to create a bridge to the communication gap between the AUSC office in UGANDA and your office. Through effective communication our people will be able to understand better what the AUSC is and what it means, that way more interest will be gained hence having more recruits and thus a more active AUSC. 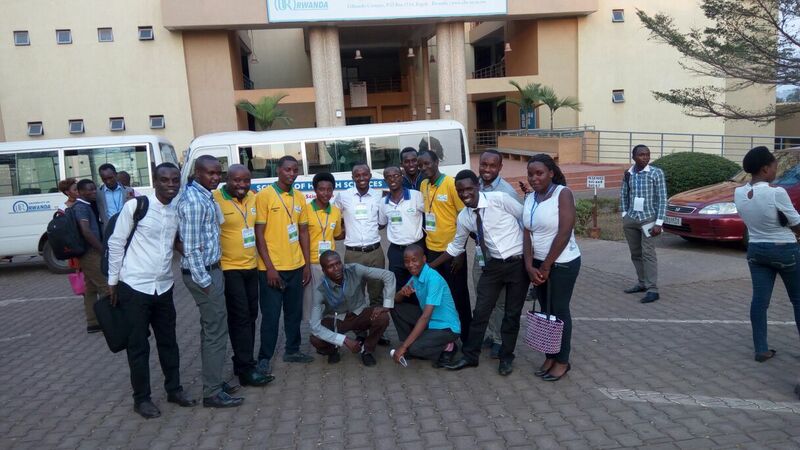 AUSC UGANDA EASTERN ZONE REPRESENTATIVE. NEW YORK, United States of America, September 18, 2017,-/African Media Agency (AMA)/- On 15 September 2017, the United Nations-African Union Joint Task Force on Peace and Security held its thirteenth consultative meeting at UN Headquarters, in New York, on the margins of the 72nd session of the United Nations General Assembly. The African Union (AU) Commission and the United Nations (UN) Secretariat were represented respectively by Commissioner Smaïl Chergui (Peace and Security), Commissioner Minata Samaté/Cessouma (Political Affairs) and the Under-Secretaries-Generals Jeffrey Feltman (Political Affairs), Jean-Pierre Lacroix (Peacekeeping Operations) and Atul Khare (Field Support). They were accompanied by other senior officials from the two organizations. The Joint Task Force (JTF) welcomed the signing of the Joint United Nations-African Union Framework for Enhanced Partnership in Peace and Security on 19 April, which includes four key action areas: preventing and mediating conflict and sustaining peace; responding to conflict; addressing root causes; and continuously reviewing and enhancing the partnership. The JTF noted that the Framework, a key milestone of the reinvigorated UN-AU partnership, provides a comprehensive strategic vision for enhanced cooperation as UN and AU jointly address peace and security challenges across the continent. The JTF further welcomed the progress in implementation of the Joint Framework and stressed the need to maintain the positive momentum towards further joint actions. On the basis of the Framework, the JTF discussed issues of common interest and identified areas of collaboration in a number of countries. In particular, the JTF reviewed the situations in Somalia, Guinea-Bissau, South Sudan, the Democratic Republic of the Congo, Mali and the Sahel and Central African Republic. UN and AU also exchanged views on the two organizations' initiatives on conflict prevention and sustaining peace. On Somalia, the meeting exchanged views on recent political developments and agreed to continue working together in support of the political process in Somalia and a condition-based exit of AMISOM, in line with the PSC Communique and Security Council resolution on the AMISOM strategic review. The JTF paid tribute to AMISOM for its sacrifices, and reaffirmed that military operations in Somalia should be conducted in line with international humanitarian and human rights law and that UN support would be provided in line with the Secretary-General's Human Rights Due Diligence Policy (HRDDP). The meeting agreed that AU and UN would continue to take steps towards securing predictable, flexible and sustainable funding for AMISOM, in particular in the context of resolution 2372. The JTF established that demonstrating progress of the transition will be imperative to galvanize political and financial support from the Member States and partners. They agreed on the need to coordinate efforts to help build the capacity of Somali security forces. On South Sudan, the JTF expressed serious concern about the continuing violence and stressed the importance of IGAD-AU-UN partnership to bring the peace process back on track. UN and AU cautioned that the continuing violence and instability was leading to further fragmentation of the country, and abominable suffering for civilian populations. They strongly condemned the massive violations of human rights and human toll of the conflict which is aggravating the already dire humanitarian situation including forcing internal displacement of the population while others are compelled to become refugees in other countries. They urged all parties to advance progress with respect to justice and accountability without which there will be no sustainable peace. They welcomed the proposed IGAD High level Revitalization Forum and committed to actively support IGAD in revamping the peace process, including through coordinated efforts of UN and AU senior officials. They urged all parties to fully implement the peace agreement and ensure an all-inclusive national dialogue. They welcomed the progress made in the deployment of the Regional Protection Force, and look forward to its full and speedy completion. They also welcomed progress with the establishment of the Hybrid Court. The meeting further condemned the continued abuses of human rights particularly sexual violence against women and girls. They commended the neighbouring countries for hosting large numbers of refugees. On the Democratic Republic of the Congo, UN and AU exchanged views on the political situation with a view to support further progress in the implementation of the 31 December 2016 political agreement. They expressed concern about the security and human rights situation in several areas of Kasaï and Kasaï central provinces leading to untold violence against civilians and massive displacement of persons and encouraged DRC authorities to cooperate with international investigations of serious human rights violations and other killings in the Kasaï. They underscored the need for regional actors and international partners, including ICGLR and SADC, to remain united in calling on political stakeholders to swiftly implement the 31 December agreement, resort to dialogue to resolve differences, and to take steps that would help organize elections as soon as possible. The meeting welcomed the convening in the DRC on 19 October 2017 of a Regional Summit of the Guarantors of the Framework Agreement for Peace, Security, and Cooperation for DRC and the region. AU and UN agreed to work together to support efforts by the Congolese stakeholders to implement the confidence building measures provided for by the Political Agreement, as well as to ensure coordinated support to the electoral process, including with respect to the mobilization of the required financial and logistical resources. On Mali, UN and AU called on the Government to continue making implementation of the peace agreement a key priority, including with regard to the setting up of interim political and security arrangements. They agreed to work together to intensify engagement with the signatory parties in Mali to remain committed to the implementation of the peace agreement, respect the ceasefire agreements and to promote inclusivity in the peace process. On the Sahel, UN and AU welcomed the creation of the G5 Sahel Joint Force, noting the potential of the joint force to create a more enabling environment for MINUSMA and to address security threats for which MINUSMA is not suited. They underscored the importance of framing the military response by the G5 Sahel around clear strategic and political objectives that support ongoing peace and stabilisation efforts in Mali and the broader Sahel. In this regard, they agreed on the need to facilitate stronger links between the G5 Sahel Joint Force, the African Union Peace and Security Architecture and Nouakchott process, and to work with all partners to that end. Regarding the situation in the Central African Republic, UN and AU took note of the progress made, noting however that formidable challenges remain that require sustained commitment to consolidate the gains of the transition. They expressed concern over the continued high levels of ethnic-based violence and targeting of minorities. They also strongly condemned the attacks against peacekeepers and aid workers as well as continued attempts to undermine the peacekeeping operation. UN and AU welcomed the concerted efforts by the region, AU, UN and other stakeholders to revitalize the peace process, particularly the operationalization of the Africa Initiative. They encouraged key stakeholders to play a constructive role in the peace process and to speak with one voice in supporting a unified mediation process on the basis of a single roadmap and to strongly echo the call to adhere to the immediate cessation of hostilities. They discussed options for the UN's partnership with AU on the African Initiative, including at the political, technical and logistical level. 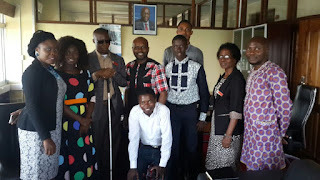 They welcomed the inaugural meeting of the Panel of Facilitators of the African Initiative and urged it to expeditiously facilitate implementation of the Initiative's roadmap. On Guinea Bissau, the JTF noted with concern the continuing political impasse in the country and called on the prompt appointment of a consensual Prime Minister and the re-establishment of a functioning, inclusive Government until the holding of timely legislative elections by 2018 on the basis of the Conakry Agreement. The JTF also reiterated strong support for the ECOWAS-led mediation efforts in Guinea Bissau. On Libya, the meeting discussed recent developments in the country, including the outcome of the latest summit of the High Level Committee on Libya, which called for a harmonized approach of peace efforts in Libya. UN and AU looked forward to the holding of the high-level event on Libya on the margins of the 72nd session of the UN General Assembly to further coordinate and harmonize peace and security initiatives in Libya. The Joint Task Force also discussed AU and UN collaboration in conflict prevention. The meeting agreed that AU and UN should work together to promote a renewed commitment towards conflict prevention and mediation, including through the promotion of human rights, democracy and good governance as well as through advocacy in their respective Member States. The JTF agreed on the need to strengthen national peace infrastructures and mechanisms, working with women and the private sector. The UN Secretariat and AU Commission agreed to work to deepen cooperation on peace and security including through strengthening working-level mechanisms for information sharing, and carrying out joint messaging and, where possible, joint, coordinated conflict prevention efforts. The JTF also welcomed AU efforts to enhance accountability in peace support operations, and looked forward to continuing joint work on the development and strengthening of accountability frameworks. On sustaining peace, the Joint Task Force exchanged views on the electoral process in Kenya, as well as on the modalities for post-UNMIL action and engagement in Liberia, including the possibilities of a reinforced AU presence. The Joint Task Force welcomed the AU's collaboration in the context of the electoral process in Liberia and underlined the need for the international community to accompany the next government in its efforts to sustain and consolidate peace. Distributed by African Media Agency (AMA) on behalf of United Nations - Office of the Spokesperson for the Secretary-General. The real deal is that we have been betrayed by key members of the Black elite in Africa and the Diaspora who are serving colonialists and the AU/Africa is now closer than every to become under United Nations supervision again. All should know that the UN is under the control of global powers... and so this is re-colonization by another name. We were warned that it does pay to betray. Read the article below showing terror war and chaos across Africa starting with Obama war on Africa --- the Africa Trail of Treachery!!! Min. Menelik. In this PAA, WADU is still on track for its Summit in Florida but assessing the effects of the devastating effects of the hurricane on Florida, the Southeast and especially parts of the Caribbean. The 10th anniversary Summit will project ways to move WADU and the Pan African Movement forward to revive the Garvey-Nkrumah Plan for the United States of Africa called by the best of our leaders for a Union Government of Africa. 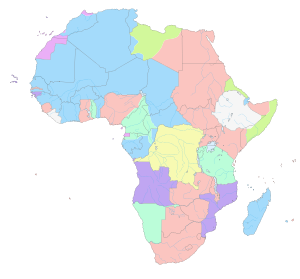 With much of the colonial nations in Africa and the Diaspora still subjugated, WADU will be pushing for the 21st century renewal plan for a United States of Africa is to revive and expand Africa Towns States across the African Diaspora and in Africa to establish our Union Government. This arrangement was the basis for the liberation of African people starting with the Maroons’ Towns of Jamaica and elsewhere, especially across the Americas. A major part of the plan is for Min. Menelik, who helped to spearhead the historic Africa Trade Bill (AGOA), to push for an All African Trade zone across the Diaspora All African Towns to conduct commerce with Africa and the rest of the world. In addition to WADU focusing on the United States of Africa at the Summit in Florida, we will also push for the greater integration of the Diaspora across the Americas with Africa and press for the ending of embargo against Cuba. With the degeneration of Africa, it is imperative to strengthen Cuba and CARICOM with the resurrection of Africa Towns to renew, secure and maintain our trajectory as African people for victory and greatness. The United States of Africa Towns will also only prioritize political, economic and cultural ties with regions, nations and Africa Towns in Africa that are supportive our Government Union, of Repatriation and Reparations. Consequently, we are urging all serious Pan African nationalists to participate or support the upcoming anniversary the United States of Africa Summit in 2017. We need you because without a Union Government, Africans are doomed to further enslavement. For more information, please contact us at wadupam@aol.com. Next, we are calling on all Africans to support the campaign against the CFA – the French colonial slave system pushed by one of the few courageous leaders of Africa brother Kemy. By being fired up against colonial slavery, we can take global actions against France's imperial slave system which is one of the most enduring slave legacies in Africa. As a matter of fact, in the recent war on Africa, France used its slave model called Francafique to lead Europeans in the re-colonization war on Africa. Similar slave system in the USA was used with Obama as the main agent for the invasion of Africa with Sarkozy of France, the UK and Saudia as an unholy war on Africa for our resources. Family, it is important to support this “campaign of fire” on the CFA across the African world to mark President Kwame Nkrumah's birthday on September 21, 2017. Finally, we must ensure that all Africans are engage in organizations serving African people, especially our youth. Remember, Obama and other imperial nations have been training a new breed of youth as Trojans to continue our colonial enslavement. Thus, those organizations that are weak, we have a duty to strengthen them, especially if they and the leaders have a history of credible and courageous service. However, if these and the leaders have been employed (or recycled) against our interests, these should be placed in the garbage of history. Indeed, WADU has had one of the greatest collective leadership in our history in service of our people and so had become a high target by our enemies to be hijacked and destroyed, like others. Thankfully, unlike other organizations with weak leadership, we had some bold ones who took decisive actions to counter the compradors from further contaminating our people to promote the war on Africa-ns. a sovereign monetary policy Franc colonial currency..
Why is Bantu Steve Biko's remarkable legacy often overlooked? Reflections on South Africa: Whose Capital, Whose State?